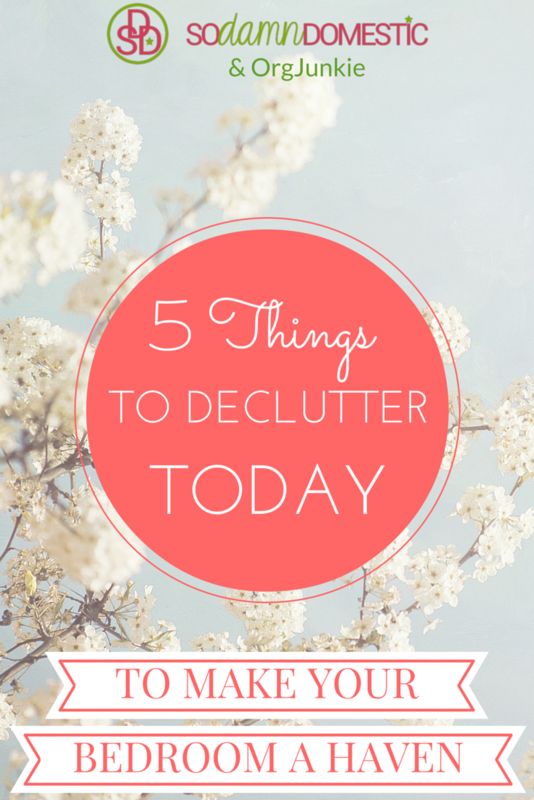 You’ve been decluttering as long as you can remember, and it still all feels like too much. I promise, there’s a light at the end of the tunnel. I’m reaching the sweet spot Goldilocks found when she tasted baby bear’s “just right” porridge. I know what it’s like to have little kids who don’t nap anymore, to have regular chores and responsibilities to keep up with, to struggle to just get the basics done. Sometimes, we need a quick win. Not a month-long kitchen overhaul. Something we can do in the evening after the kids are in bed, or while they watch a movie in the afternoon (Do what you need to do. No guilt.) and get it DONE in a day or a weekend. I’m not talking about a 10 minute tidy though. I do mean 2-3 hours of solid work… but work that will make a lasting difference in your home. And let me tell you, having a bedroom that feels like a sanctuary instead of a dumping ground or a storage closet? It is a beautiful feeling. So here are 5 things you can declutter today in your bedroom, or this weekend, to give you a quick win and help you develop a comfortable retreat for yourself. Make your bed. Really make it. Don’t just yank up the covers. Smooth out the sheets, make the blanket even on both sides, arrange your pillows. During this process, if any step seems annoying, declutter it. Do you have 3 layers of thin blankets that like to slide around on each other and bother you by being asymmetrical, but you have a warmer thicker blanket in the guest room? Swap them so that your daily bed-making is easier and more pleasant. Do you like the way the shams and throw pillows look WHEN they’re arranged nicely, but never want to be bothered with taking the time to do it? Let them go (and maybe buy or make some pretty pillow cases for the ones you actually sleep on). Make your bed-making process simple and sleek, so that you’ll do it daily. Gather ALL of your clothes in one place. Out of season things from storage areas, coats from the coat closet, shoes by the door, everything. If you have a billion things in a million places and not much time, just get the stuff that’s in your bedroom… but I gathered all of my things from all over, since I’ve already pared down a lot. Put it all onto the floor or your newly-made bed. Don’t leave things in the closet or the dresser. Immediately get rid of anything that makes you feel guilty or sad. Pants you haven’t worn in 3 years but that you desperately want to lose “the last 10 pounds” to fit again? If they make you feel excited and motivated, you can keep them, but if there’s underlying guilt, ditch them. And anything you’re keeping just because it was expensive (or even if you got a great deal but it’s “worth a lot” or “designer”) but that you don’t actually wear or that doesn’t fit into your life? There’s probably some guilt happening here too. Toss it. Anything that’s worn out or which fits weirdly… anything you’re not excited to pick up and put on your body in the morning… anything that’s stained or which needs mending you’re never going to get around to… anything that’s out of your current fashion… anything you don’t absolutely love (or need)… Toss. Move quickly. This shouldn’t take too long. If you’re not sure about something, put it in a bin, and go through it again in a little bit. Only hang, fold, and return to your closet or drawers those items which you’re sure about. Do you have tags from your new socks and sport bras sitting on your dresser? Dirty kleenexes? Nearly-empty makeup containers? Snack wrappers from that last time you were hiding from your kids to breathe for 2 minutes and do some chocolate therapy? Take like 2 minutes to find any and all trash in your bedroom and get rid of it. 4. Anything that goes somewhere else. Even just tossing this stuff into the hallway would be an improvement (for your bedroom), but if you want to actually put it all away, go for it. Dishes and glasses belong in the kitchen or the dining room. Your kids’ toys and books belong in their rooms or the playroom (or wherever you keep toys). Papers go in the office or the area you’ve designated for home management. That is, if they’re not trash. Anything that isn’t related to activities you WANT to be doing in your bedroom needs to leave your bedroom immediately. Don’t let them back in. Whenever my bedroom is nice and tidy (which is basically all the time now, after decluttering the above categories of things for good), it becomes painfully obvious when I need to dust. Thankfully, it’s just a few quick swipes on surfaces, and everything is shiny and calm again. Dusting (and vacuuming afterward) is the finishing touch for your sanctuary. Things may creep back in, but if you stay vigilant about keeping your bedroom nice, clean, tidy for yourself to enjoy (isn’t it peaceful? ), you’ll begin noticing things and dealing with them right away. Your kids might bring some toys with them for Saturday morning cuddles, but you’ll remind them to take the toys back to their rooms when they leave. You may bring a glass of water to bed with you, but in the morning, after you make your bed, you’ll return the glass to the kitchen. Tags from new clothes will go into the trash right away. Papers and office things will never cross that doorway again. And, dust is only a quick swipe away from being eliminated whenever you notice it. If your bedroom needs some work, get started this week! If your bedroom is already a perfect sanctuary, comment and let me know what room you need the most help with, or what your problem areas tend to be. Emily Chapelle is an expert homemaker, about to set up her 8th home in just as many years. She offers motivating guidance to busy women who are ready to make the kinds of changes that last. Why? So they can spend more time on the things and people that really matter. 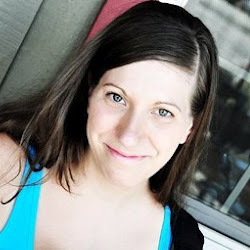 She shares home organizing tips, decluttering your life, time-management for homemakers, and other homemaking topics at So Damn Domestic. Her ebook, Finding the Awesome – 3 Steps to Doing More & Stressing Less, has been downloaded over 2,484 times, and you can get it for free. My biggest problem in our bedroom is my desk corner. There is no room for it anywhere else, so it HAS to be in there. Well, it has the tendency to get out of hand with clutter and ‘things that need to be put away’… I should probably just figure out a different filing system, so that I can easily put paperwork where it belongs RIGHT AWAY!! Thanks so much for that Bedroom Haven piece, I enjoyed it. I am pretty good in there but will take your advice to make sure its stays that way no matter what. You asked for us to let you know if any other area is a sticker for us? My craft room.. its not like all messy, its just that I have tools and supplies but do not know how to organize them in a way that looks tidy, but functions well. To be fair, I will need advice for us who don’t have a dedicated craft only room. have pet beds and home office doing triple duty. However, the pets only stay in there when we leave them alone. I am disabled and do not work outside the home. They have their everyday sleeping beds neatly placed as furniture in the living areas. Its not like I am expecting to craft in the midst f a kennel…lol I have much of my craft stuff stored in the package or boxes it came in. Not shipping box but manf. packaging. I hope I didn’t take too much of your space here, but would love your help. If you have or can recommend a publication to purchase or download, that would be fine too. Thanks in advance :-). I really enjoyed this article because it reminds me how messy our bedroom used to be. I always wanted it to be a haven, and as years went by, and we had more children, things got left in the bedroom on every surface. It just wasn’t a haven. I got serious and majorly decluttered the room, and my husband was on board thankfully! Now we don’t even keep anything on the dresser unless we plan to light a candle there. Thank you for the reminder to keep it nice-and to dust! That’s my greatest mess in there now.